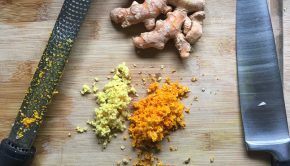 For the past year or so I’ve felt that I’ve really lost my ‘kitchen mojo–’ that certain energy that inspires me to create new recipes, mix up old flavors, and just generally be excited about food creation. 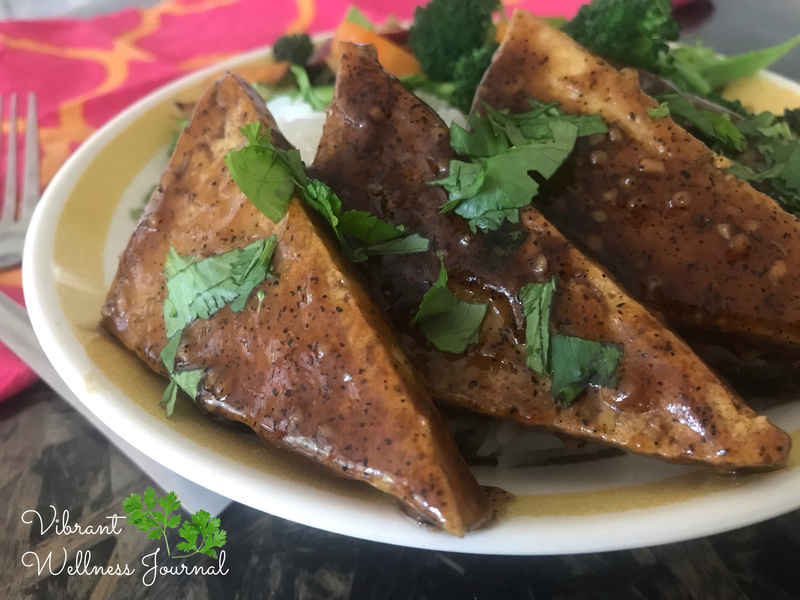 And I created this recipe for Black Pepper Tofu is loosely based on what I remember most Chinese-style tofu dishes to be: a really dark, glossy sauce, served over perfectly cooked vegetables and the aforementioned coconut rice. The sauce is generally open to interpretation – feel free to add a little fresh ginger, more or less garlic, maybe some chili flakes, but it’s also pretty dang good on its own. Don’t be worried about the huge amount of Bragg’s or soy sauce – it’s balanced with water and the other flavors, so isn’t overly salty. 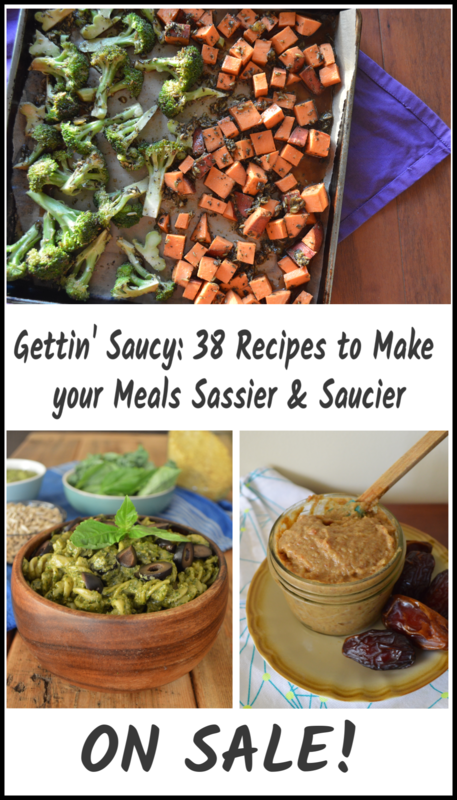 And note that the base too, is interchangeable, although I think ounce-for-ounce Bragg’s Liquid Aminos is less expensive than soy sauce, so it’s a good option for recipes where you need a lot, like in this recipe. 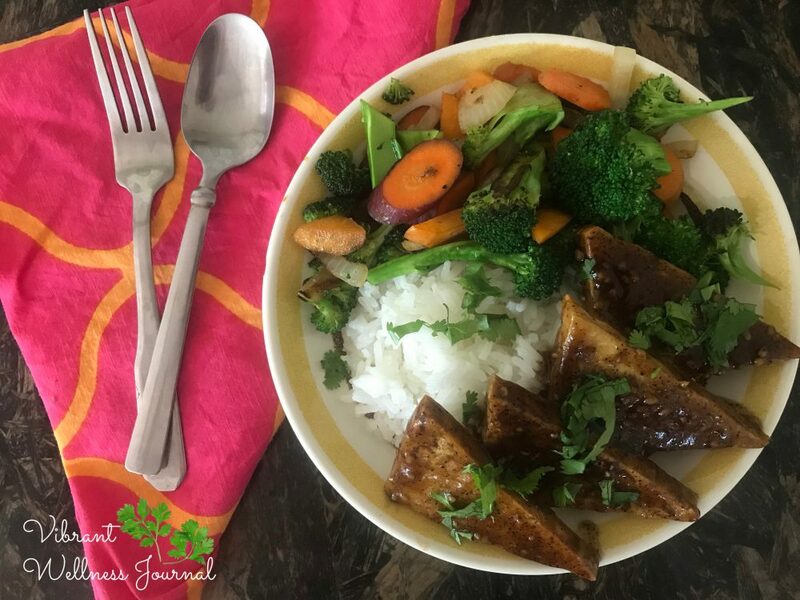 I hope you enjoy this vegan and gluten-free Chinese-style stir-fry for quick weeknight dinners! Super close up of this mildly spicy Black Pepper Tofu. 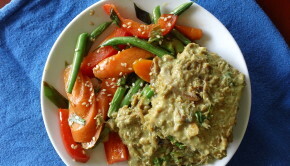 I think this would also be really yummy with tempeh. Whisk together all ingredients in a small mixing bowl, ensuring that starch is totally dissolved. Warm over medium-low heat in a saucepan or deep skillet, whisking continuously until sauce thickens. Once thickened, turn off heat and set aside. For this recipe (and so many others) I prefer to use a cast iron skillet – read here why I like cast iron so much and why it makes cooking so much better! 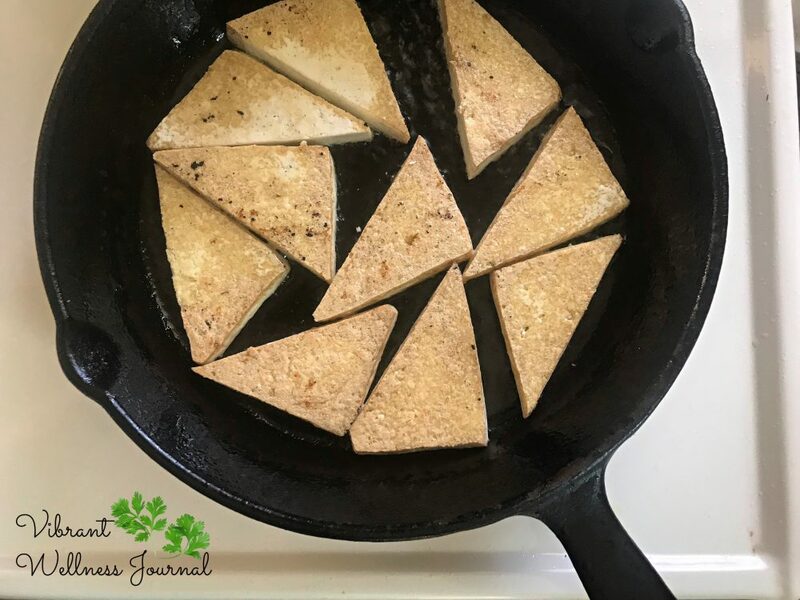 Perfectly cooked tofu starts with a cast-iron pan. 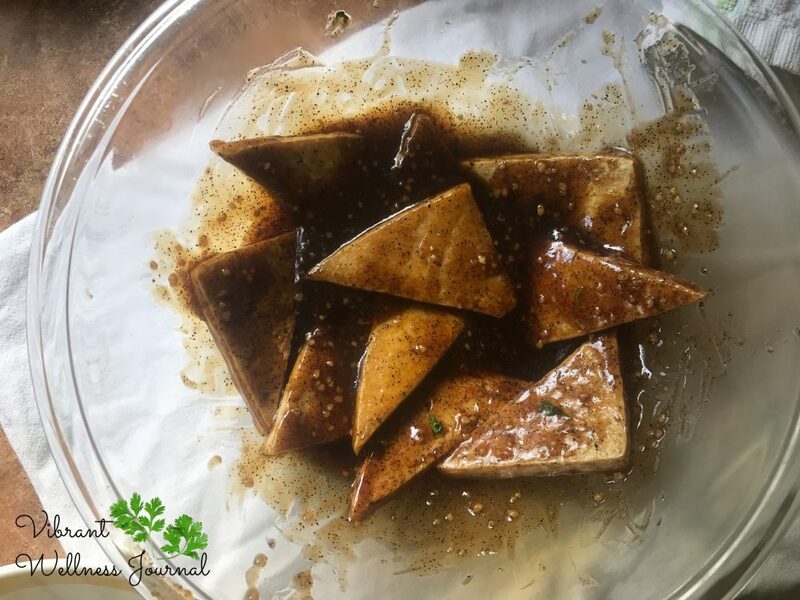 Chop tofu into slices, cubes, or triangles – whatever shape you’d like. To a skillet add the avocado oil and warm over medium heat. Once warm, add tofu, and cook until browned on the bottom. Flip, and cook until second side is browned. Remove from skillet and add into Black Pepper Sauce, tossing to coat. Add onions to skillet, adding another Tablespoon of oil if needed (I like to use a lot of oil). Cook until just starting to brown, then add carrots and broccoli. I like my broccoli really well-cooked, so usually about 10 minutes for me – if you like a little more crunch, it’s probably good at five minutes. Turn off heat, then toss in the cilantro, and stir to combine. 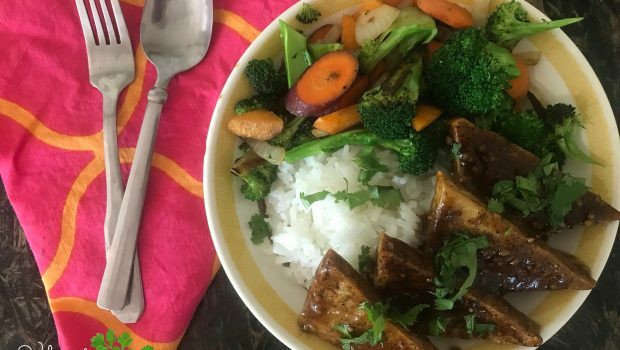 How to Serve: I like to build my bowl with rice, veggies, and saucy tofu atop, adding extra sauce as a garnish. 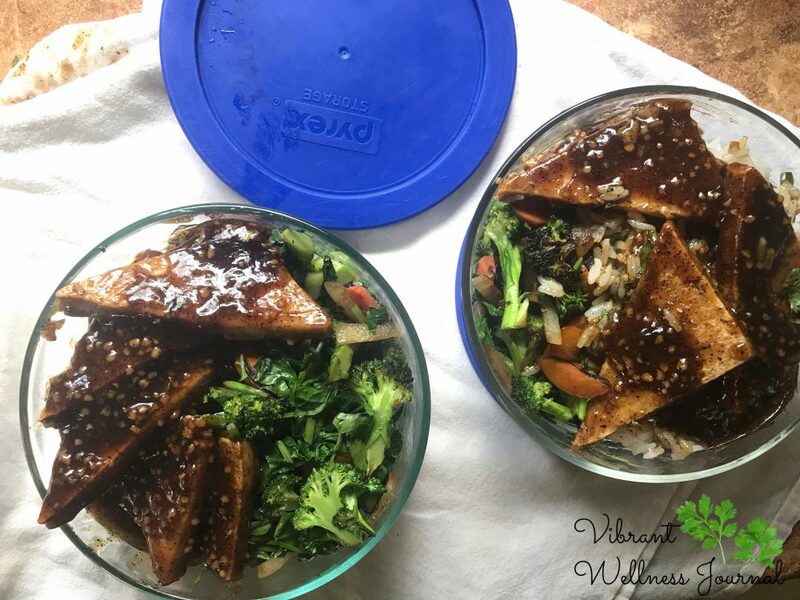 If you’re serving immediately you can toss all the veggies and saucy tofu together, but if saving for later, best to keep it separate as the vinegar will make the green broccoli look a bit yuck (but still taste fine!) if you’re serving as leftovers. It’s usually a good idea to set up all your veggies before starting to cook – that way you can be sure you have all ingredients on hand. This is all the prepped veggies, and the whisked sauce before cooking. Cooked tofu gets tossed into the sauce to soak it up! 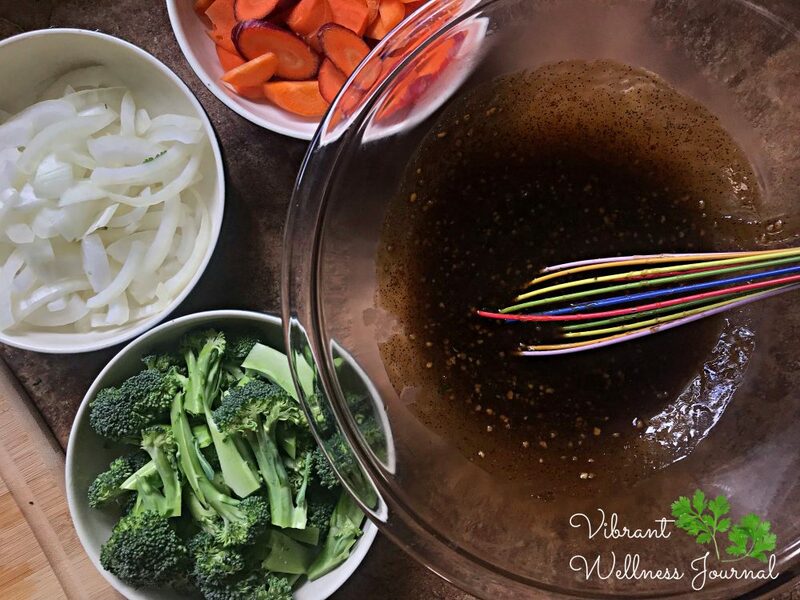 You can add cooked veggies too, but note that the vinegar might alter the color. 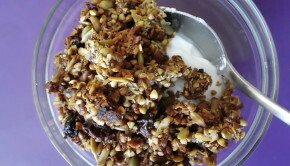 This recipe makes *incredible* leftovers! 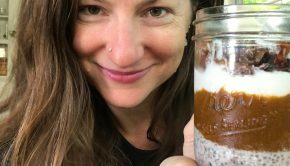 I packed up multiple lunches in my glass containers to keep my fed for many days.